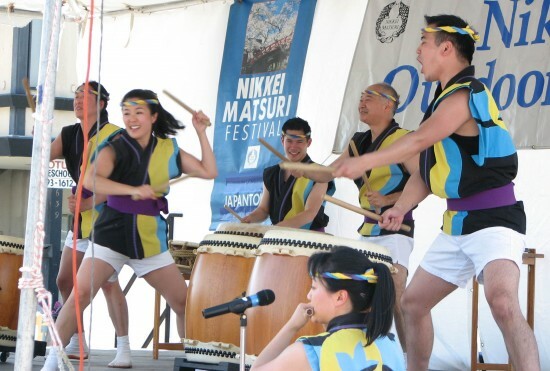 The 36th annual Nikkei Matsuri, San Jose Japantown’s cultural celebration, was held April 28. Entertainment on the outdoor stage included San Jose Taiko, which celebrates its 40th anniversary this year. Left: Vocalist Shigeru Tashiro of San Jose’s Chidori Band, which celebrates its 60th anniversary this year. Right: The Wesley Jazz Ensemble. The outdoor stage also featured the CYS Dancers and students of Ukulele Jams. 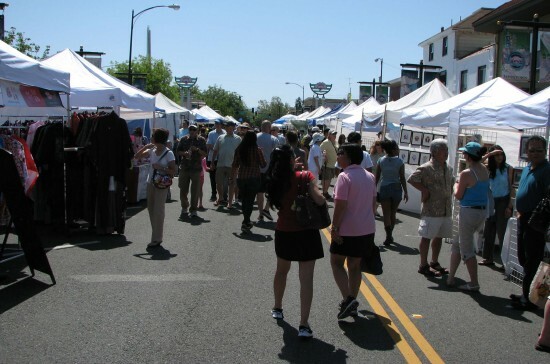 Arts and crafts booths lined Jackson Street. 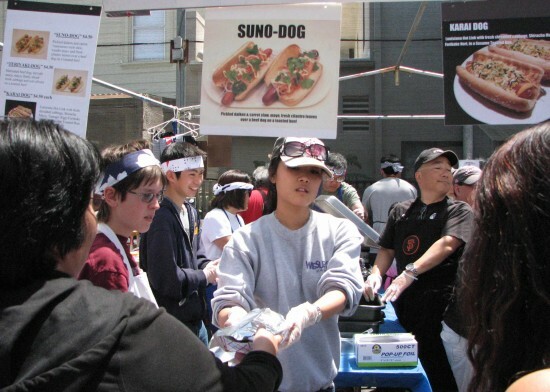 The food court offered a variety of dishes from local nonprofit organizations, including Wesley United Methodist Church Youth Group’s Nikkei Dogs (pictured) and San Jose JACL’s Ika Plate. 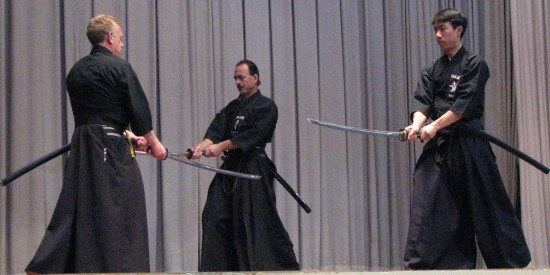 The indoor stage at the San Jose Betsuin Annex featured a demonstration by San Jose Iaido Dojo under instructor Richard Tanaka. A demonstration of Okinawa karate and weapons was given by Oshiro Karate Dojo under instructor Toshiro Oshiro. 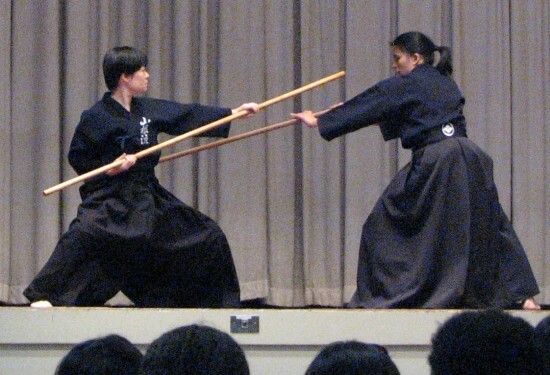 Entertainment also included a shinkendo demonstration by Tojokan Dojo, koto music by Marimo-Kai, and Japanese classical dance by students of Madame Bando Misayasu and Madame Hanayagi Michiya. Also in the gym were displays of ikebana, bonsai, calligraphy and dolls.